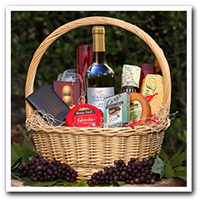 The Farm Store at Kellogg Ranch has a number of gift items for any occassion. Items may be pre-ordered by calling (909) 869-4906 or put together on the spot. We ship too! For shipping prices, please contact the store. 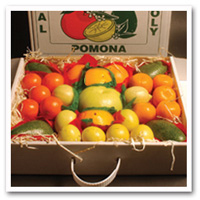 Includes an assortment of Cal Poly Pomona navel oranges, satsuma mandarins, oro blanco grapefruit, avocados, kiwis, lemons and limes in a sturdy, easy to carry gift pack. 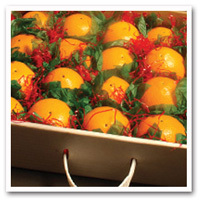 Includes 12-15 hand picked, tissue wrapped, Cal Poly Pomona tree-ripened navel oranges. Choose from anything in the store to make a unique and personal gift. 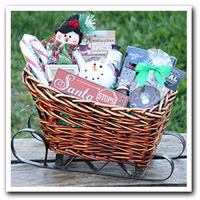 We'll put your items together and wrap them in a beautiful basket. 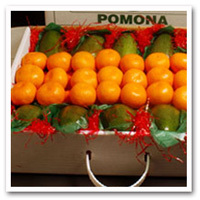 Includes an assortment of Cal Poly Pomona grown avocados and satsuma mandarin oranges. 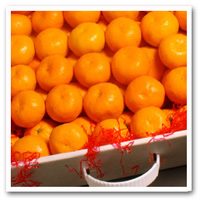 This gift pack is loaded with with sweet, easy to peel, Cal Poly Pomona Satsuma mandarins. Do you have a special occassion to celebrate: birthday, anniversary, Valentine's Day, Christmas? Let us help you put together the perfect gift.